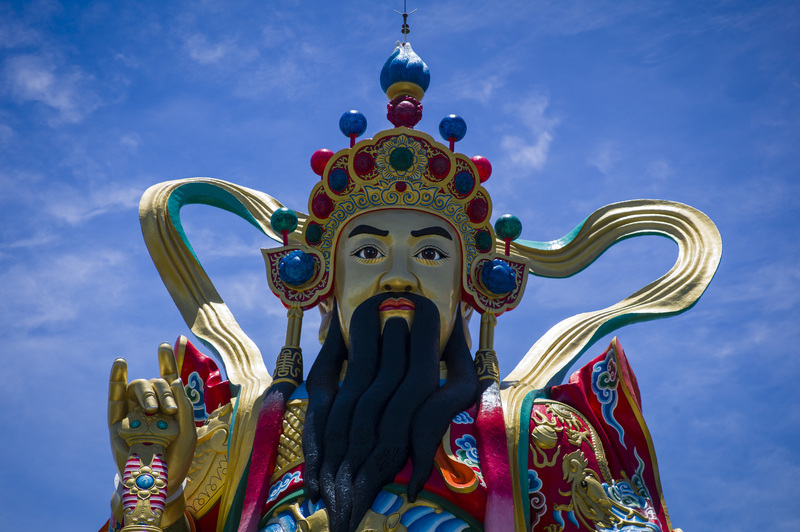 This gigantic statue of Taoist deity Xuan Wu in Kaohsiung’s Lotus Lake is the highest statue of its kind above water in East Asia. Xuan Wu, also known as the Mysterious Heavenly Upper Emperor, is usually depicted sitting down clutching a sword with a snake around his feet. He is a very powerful god, with power over the elements and great magic abilities.